Do you feel anxious when you’re not checking your phone or another device? Do you often compare yourself to other people on social media? Do you think it might be good to reduce your screen time? Technology can be very helpful—in fact, it’s easy to feel like it’s the only way. However, technology can have a real impact on well-being. It’s important to find a good balance so you can enjoy all of the benefits while minimizing the harms. When we talk about technology in this Wellness Module, we’re talking about communication technologies like computers, tablets, and smartphones, as well as technology we use devices to access, like websites, apps, email, text messaging, and games. We can think of technology as a tool. It’s how much technology we bring into our lives, how we use technology, and how we relate to technology that determines whether it’s healthy or unhealthy. When might technology use become a problem? Technology use is a problem when it no longer helps and begins to cause some kind of harm. Exactly how much use is too much use will depend on everyone’s individual situation. Do the risks outweigh the benefits? If you answered yes to any of these items, you may need to rethink how, or how much, you use technology to make sure the benefits outweigh the risks. Do I have a problem with technology use? If you feel like these apply to your technology use, you may wish to talk with a mental health professional. What works for one person may not work for others, so it’s important to think carefully about what makes the most sense for your situation. For most of us, completely giving up technology is not realistic, nor is it likely necessary. Good strategies can help us find a healthy balance—enjoying the benefits while minimizing harms. Set a schedule—and stick to it. Give yourself a set period of time each day to check social media or personal email, for example. Limit the number of times you check emails in a day. In one recent study, people who purposely checked their work email only a few times a day reported less stress and the same productivity as people who checked their email constantly over the day. Unless it’s part of your job, ask yourself how quickly you really need to respondto texts, emails, or other messages. The faster you respond, the faster people expect you to respond next time. Think about setting limits or guidelines so others know what to expect. Turn off unnecessary notifications. Unless it’s part of your work or another important obligation, many notifications on your phone and other devices may not be needed. If you have a hard time limiting technology use, take advantage of apps and programs that limit your access to certain website, apps, or other features. Set guidelines and discuss your expectations with others. For example, you and your friends might agree to put your phones away when you’re out for dinner. If a family member often texts late at night, you might let them know that you plan stop checking messages at a certain time. Take regular breaks during the day. Get away from your computer, turn off your phone, and spend time without technology. it doesn’t have to be a long break—even an hour or two can help. Consider a ‘digital vacation.’ Choose one day a week to completely stay away from a device. If that feels overwhelming, start with a half-day vacation. Try to reduce screen time before bed and keep screens out of the bedroom. 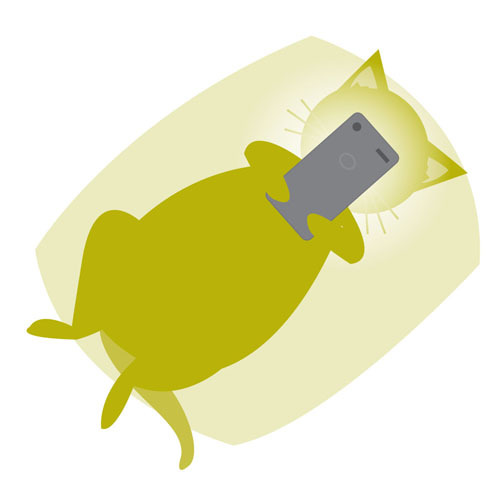 It’s easy to stay up much later than intended when you’re online, gaming, or trying to write a few emails before bed. There is also evidence that the blue light emitted by devices may affect healthy sleep, long after you’ve turned the device off. Regularly choose off-screen activities over on-screen activities. For example, choose to play soccer with friends over playing a video game of soccer. Reduce distractions. Many of us split our attention between a few different activities, like playing games while watching a movie or watching TV while eating dinner. Try to designate one distraction-free day or evening a week so you can focus on the most important activity. Think about the example you’re setting for children or other important young people in your life. Kids pay a lot more attention to what we do than what we say. That’s also true for technology use. Avoid comparing yourself to people you see online, including your friends. Remember that people usually just post their good news and their best pictures online—and a lot of people edit their photos and use filters to make them look as good as possible. Practice mindfulness, which is a skill that helps you fully experience the present moment. You may be less likely to text while you’re walking the dog—and feel better for doing so. How can I use technology in my mental health care? We know that some technology use can be healthy, but can technology improve health and well-being? Yes! Technology is changing the way we think about health care. E-Health and tele-health allow people to connect with mental health professionals virtually, by videoconference, or by phone. It reduces barriers to health care and ensures that everyone can access the services they need. Two telehealth providers in BC are Livecare and Medeo. Your doctor or specialist may also offer a tele-health program. Websites, apps, and other technologies can help people learn about their health problem, monitor symptoms and practice self-help strategies. Regularly noting symptoms, responses to treatments, or other events in your life can help you and your care team find patterns and catch problems earlier. You can also use technology to learn and practice self-help strategies. Three made-in-BC apps we like are MindShift from AnxietyBC, MoodFX from UBC, and BoosterBuddy from Island Health. There are also quality websites like mindcheck.ca and mindyourmind.ca. And don’t forget www.heretohelp.bc.ca—we have tools for learning, monitoring and self-help practicing! We know that support is an important part of well-being. When you or a loved one experiences a health problem like a mental illness, support groups may be a good way to connect with people who understand what you’re going through, share tips and ideas, and seek help when you need it. Online or phone-based support groups or live chats can all be good ways to get support. For one-to-one live chat with a trained volunteer, try www.crisiscentrechat.ca (for adults) or www.youthinbc.com (for youth). The BC Schizophrenia Society also hosts a number of online family support groups for any mental illness at www.reachingfamiliesproject.org. Technology cannot really replace face-to-face health care. Some appointments will need to be in-person. There are also concerns like privacy, security, and cost barriers to using technology. However, technology can provide tools and options that enhance your care. Remember, just because everyone else seems to be doing it doesn’t mean it’s healthy! You can take advantage of technologies that benefit your well-being, and you can limit technologies that do not. If you feel like technology use is negatively affecting your life, or if other important people in your life bring up concerns, it’s okay to step back and rethink your relationship with technology. What would you gain or lose by changing the way you use technology.